They wanted more Game Of Death, they got more Enter The Dragon. So yet another movie was made “starring” Bruce Lee and actually also starring one of the official doubles for Game Of Death. 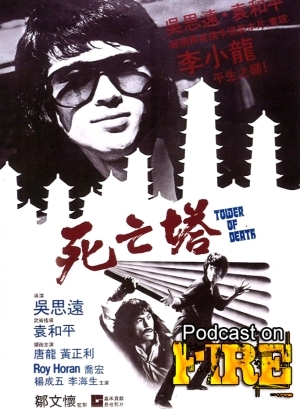 Not obscured anymore, we follow Tong Lung to the Tower Of Death. With Kenny B and Paul Fox of the East Screen West Screen podcast.